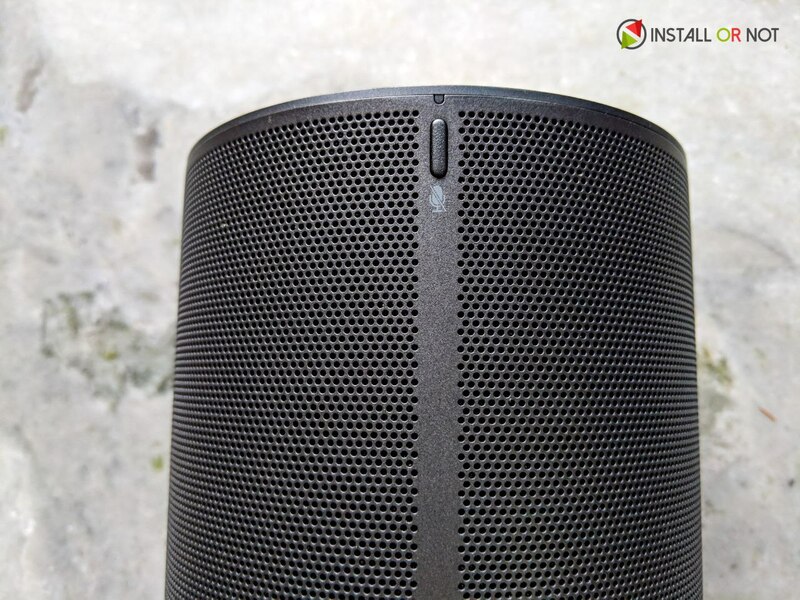 Home Reviews LG X-Boom AI ThinQ WK7 Review: Sounds Smart? Smart speaker is one category on speakers that is dominated by Amazon and Google with their Echo and Home series respectively. 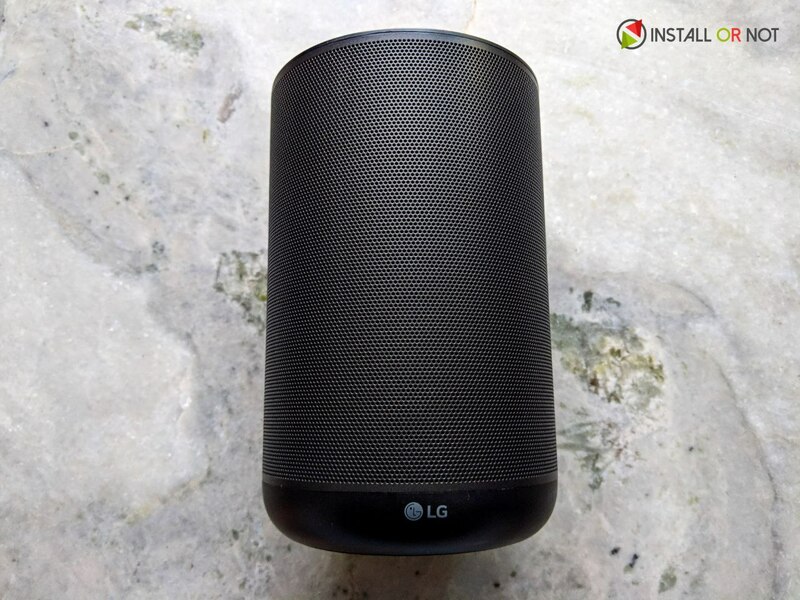 LG, on the other hand, is trying to take on both of them with their first smart speaker under its X-Boom lineup, The AI ThinQ WK7 speaker. The LG WK7 marks a couple of firsts for the Korean giant. It’s the company’s first foray into the ever-growing smart speaker market. It’s also one of the first products to emerge as part of the new partnership between LG and British audio specialist Meridian. The device is charcoal black in color and stands 8.3 inches tall and is pillar-like with a 5.3-inch diameter. It’s a bit hefty at 4.2 pounds. On the top of the device are volume increase decrease buttons, a play/pause button, and an “F” button, which stands for function. That’s the button you tap to connect to Bluetooth devices. 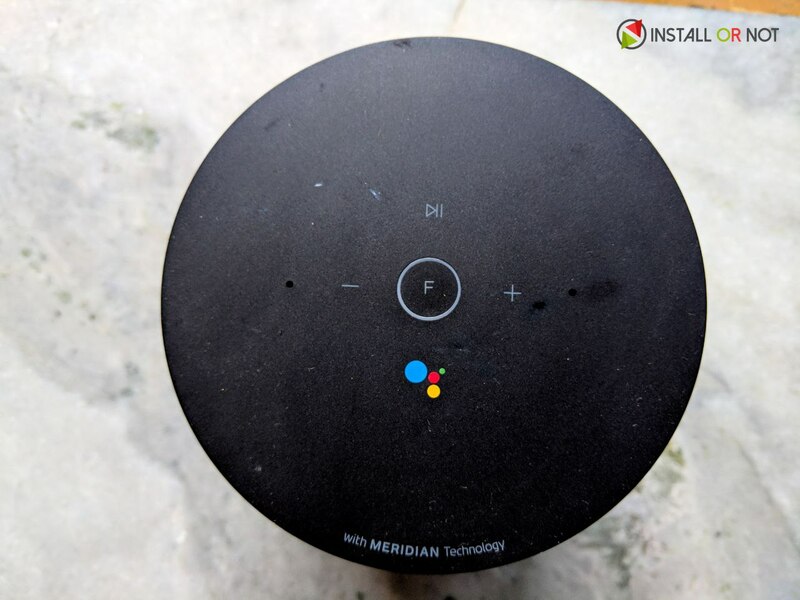 The top of the smart speaker is a flat, circular surface and carries the volume buttons and a function button. The function button helps to connect the speaker via both Wi-Fi and Bluetooth. The buttons are embedded inside the body and they have not been provided in a raised form that leaves the top totally flat without any elevations or depressions. You just have to tap on them lightly with your fingers. On the back of the speaker, there’s a mic on/off button, and on the bottom, there’s an A/C Adapter plug and a reset button. The WK7 is a sturdy, utilitarian speaker, and the components seem well made and durable. But something about the design feels uninspired. Overall, the WK7 isn’t going to win any beauty contests, but its heft makes it feel like a quality speaker. 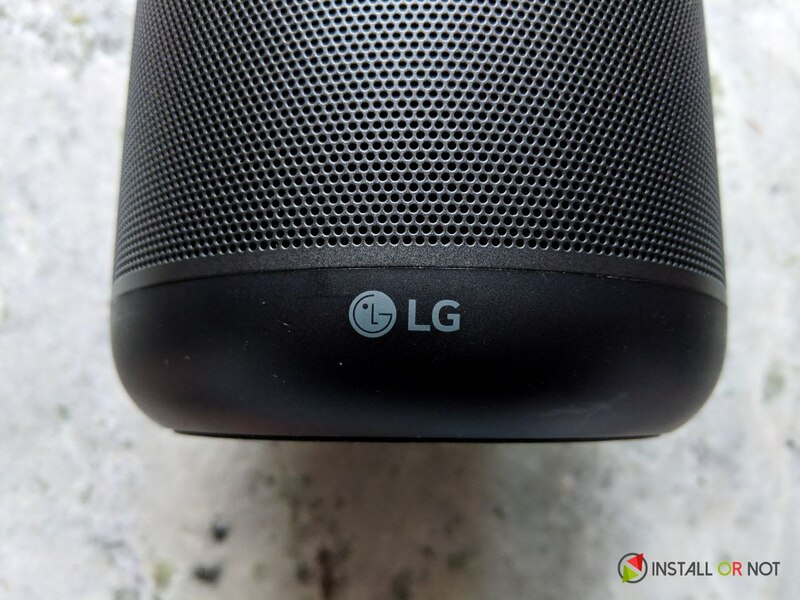 The LG X-Boom AI ThinQ WK7 falls under LG’s ThinQ brand of artificial intelligence products and is powered by Google Assistant. The speaker also has Chromecast built in, so you can stream between and interact with compatible sources and displays. The WK7 works over your wi-fi network or you can hook up sources via Bluetooth. There’s no 3.5mm input, but on a wireless smart speaker that isn’t the end of the world. The speaker has Chromecast built in, so you can stream between and interact with compatible sources and displays. You can control the WK7 a number of different ways. Talking to the speaker is one option – the two tiny holes on either side of the volume control are the mics. But if you don’t fancy having Google Assistant listening in the background, you can mute the mics by tapping a button on the back of the WK7. How well does it sound? What the WK7 does offer is a solid performance with an emphasis on booming bass and prominent vocals to outmatch similarly affordable smart speakers like those in Amazon’s Echo family. According to the company, this certified Hi-Resolution Audio speaker can playback lossless stereo audio at up to 24-bit/96kHz quality. The company has also stated that with 24-bit upsampling, the speaker will be able to convert low-resolution audio to 24-bit high-resolution format. The speaker’s sound output, on full volume, can fill a large room or a small hall quite nicely. Its cylindrical design is meant for a 360-degree sound and it does deliver it. The sound is not room-shaking loud though but is loud enough for a small hall. The audio upsampling feature in the WK7 does a brilliant job of reproducing quality sound with low bit-rate files. With this smart speaker, users would not have a reason to complain as long as the sound quality is considered. The speakers sound especially good with EDM, pop, acoustic and instrumental tracks. They also give a mostly pleasing output with guitar-heavy rock and metal tracks, with very little distortion at maximum volumes in some tracks. While giving commands to Google Assistant when the speaker is playing music through the Wi-Fi, the volume of the track gets reduced to really low for the Assistant to reply back but it does not get reduced when the speaker is playing music through Bluetooth. And I hope this could be fixed in future software updates. The speaker does a fine job of distinguishing between the tight punchy bass notes and the slightly smudged low-frequency pulses. The WK7 is an all-rounder smart speaker when it comes to playing songs of different musical genres and being smart with built-in Google Assistant. 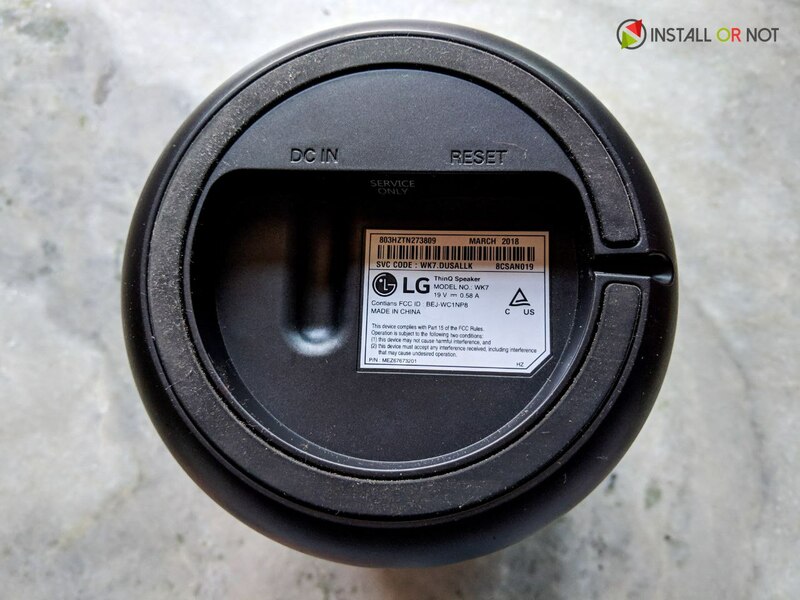 And being their first smart speaker, LG has done a remarkable job on keeping the balance between Audio Performance and delivering smart features. 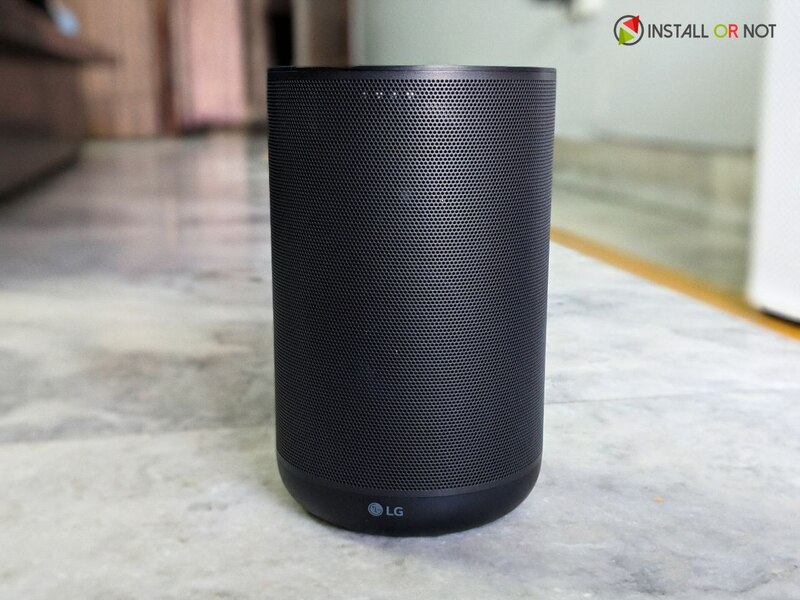 And with the flexibility in playing music like having Bluetooth and not being voice-command exclusive, LG has a winner. 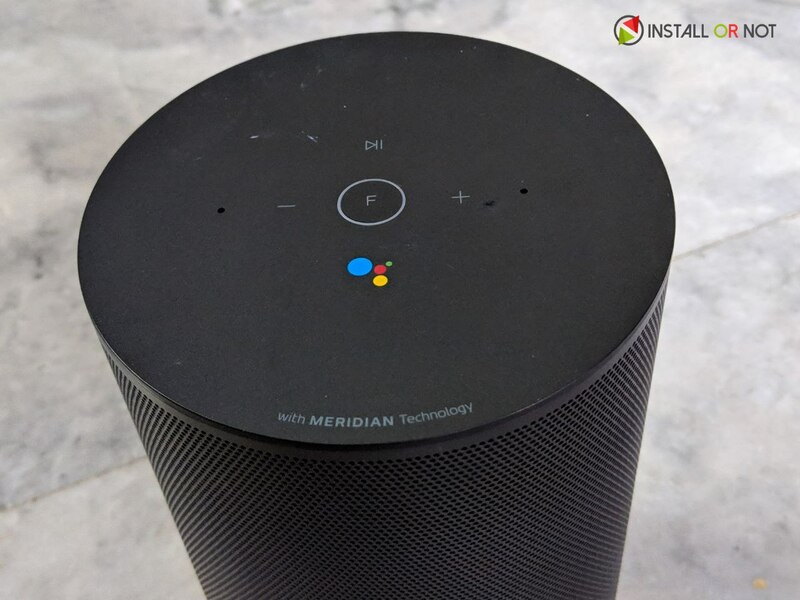 The Google’s smart assistant is a star performer here, making this a legitimately strong option as the conductor of your smart home, while the sound delivered by Meridian is impressive, considering the price bracket the speakers sits in i.e INR 27,990. It won’t be for everyone, but the ThinQ WK7 is worth your attention. Bass Delivery is Spot On.